When you talk about dressing for success, school uniforms probably don’t come to mind. But, like business suits, uniforms send a message that this school is serious about education. Uniforms eliminate clothing comparisons among students and there is a school uniforms debate in many places. There is no more worrying about who is wearing the latest fashion. Children wearing uniforms are put on a level playing field. Uniforms erase preoccupations with status symbols. 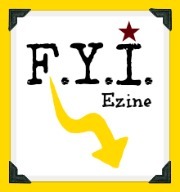 Attention can be turned solely to school studies. The advantages of wearing uniforms continue to be debated. 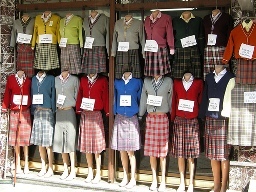 Private school students have worn uniforms for years. Some public school districts have adopted a school dress code or uniform policy. Though uniforms on sale or discount school uniforms are a cost to parents in many cases, it is believed that they also contribute to school safety. In deference to the extra cost, many schools provide financial assistance for uniform purchase. The benefits of students wearing uniforms, whether it's girls uniforms or boys uniforms, far outweigh the cost. And here's a revealing look at school uniforms debate survey results. Uniforms are a safety feature as much as an alarm system or locked doors are. Uniforms used to be specifically dictated. You had to buy a specific uniform from a specific vendor. Though some schools still follow this policy, many schools have adopted a standard dress code. With a standard code, the general specifications are provided, and parents can purchase uniforms from any online or local store they choose. This process has several advantages. Some schools require their school name be embroidered on shirts or dresses. Even at schools without a student dress code policy, uniforms are often required for sports teams, cheerleading squads and spirit squads. Usually, embroidery and team uniforms do require special ordering. Uniforms come in many colors and apparel variations. Some schools, in an effort to make uniforms more appealing to students and allow freedom of expression, allow different pre-selected colors to be worn. 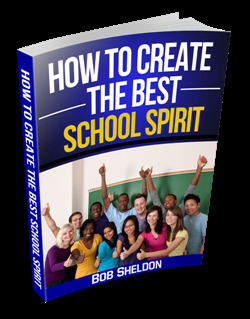 By controlling the colors, your school can prevent gang colors or secret groups from finding a way into the school. Sometimes the rules appear to be unnecessarily difficult until the reasoning is understood. Uniforms are available for girls and boys at all ages. Like any purchase, it pays to shop around. There are reliable suppliers who have quick shipping turnaround, understand school requirements and have policies that fit your school environment. They also offer a complete line of coordinated clothing. When considering the cost of uniforms, bear in mind that uniforms can actually save money in the long run. Expensive fad clothing will not be needed for school wear – the kind of clothing teenagers like to wear! Shop reliable uniform suppliers. Your students will look neat, coordinated and safe as they head back to school!! Leave School Uniforms and Get Your School Theme!